When it comes to changes, January is ripe with opportunities to take control of your life and particularly of your finances. 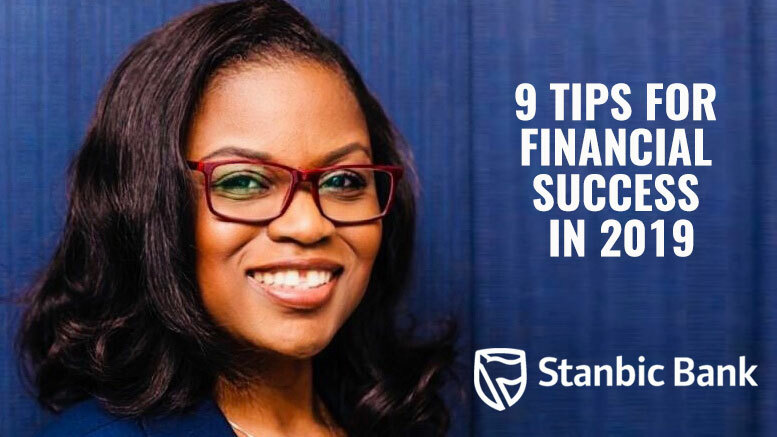 The New Year is the time to hit the reset button and refocus in order to improve your life; but rather than make a long list of unrealistic commitments, the best way forward is to find a way to get your finances together in a sustainable and realistic manner that matches your personal circumstances. Financial goals and expectations differ from person to person, but whatever your situation is, this time of year offers a golden opportunity to learn from the mistakes you might have made, or generally, think about areas where you can try to improve this year. Put pen to paper and make a specific list of the habits that drain your finances and set goals for the coming 12 months. Perhaps you spend a significant amount of money eating out and other excursions, write them down and find alternatives. Personal budgeting is a difficult habit to learn, but being more mindful of the state of your finances is a key step to attaining financial prosperity. When starting your budget try the 50/30/20 method – limit your needs to 50%, wants to 30% and save 20% of your income. Take some time to write down all income and expenses and commit this information to a document, more and more people are digitizing their budgets so it would be worthwhile to make an Excel sheet to keep yourself accountable. Tracking expenses is one of the fundamental factors in making your budget work. Even the small expenses will affect your budget, using cash and spending small amounts in various places eventually amounts to a sizeable chunk of your budget. Therefore, make it a habit to keep receipts, look over them and note down any additional expenses you make throughout the week. Debt, especially short-term debt, like emergency loans all have their place when ‘life happens’ however, they can mount up, so prioritize paying them off as soon as you can and then focus on saving. An emergency fund is one of the most important elements in a personal financial tool kit to set aside funds in the event of a personal financial dilemma, such as the loss of a job, a debilitating illness or an unexpected major expense. Financial advisors recommend saving at least 3 months of living expenses – and more if you can afford to do so. Don’t let an unforeseen expense ruin an otherwise healthy financial outlook. Rather than having a lump sum for your savings, divide your savings for specific goals or items you want to save for, including travel, irregular expenses such as school fees and home renovations. Working towards precise goals is easier to manage and complete. Set an estimate for each savings goal and create a timeline for achieving it. Having the funds to make a large purchase does not necessarily mean that you should, any expense that severely cuts into your monthly income will disrupt the budget and have ripple effects for a longer period than is ideal. Plan for the purchase and add it to your list of short-term savings goal. An effective way to formalize your commitment to saving is to set up an automatic transfer into your savings account on payday. In this manner, you prioritize saving and are not tempted to use the money for other purposes. There is a wealth of information all around to help in attaining financial freedom, it is important to stay informed about the financial choices you can make to improve your life. that will empower your financial success.